You’ve got places to visit that are orderly, fabricated and neatly packaged. Then again, you can come to know that place where unprocessed adventures appear fresh daily, where real characters introduce you to wild horses, whitewater thrills, off-piste powder, trails, glider rides, charmingly creaky restaurants and the perfect bar stool for recounting your legendary day. All in a valley that’s easy to find. And hard to forget. Your next journey is closer than you think. Just 45 minutes south of Reno and only 12 miles east of South Lake Tahoe, Carson Valley offers an abundance of authentic adventure. In 1879, Lawrence Gilman purchased the Kent House, located at the time just south of Genoa, thought to be haunted by a stagecoach-robbing ghost. After acquiring land from John M. Gardner, Gilman moved the house to the new site. 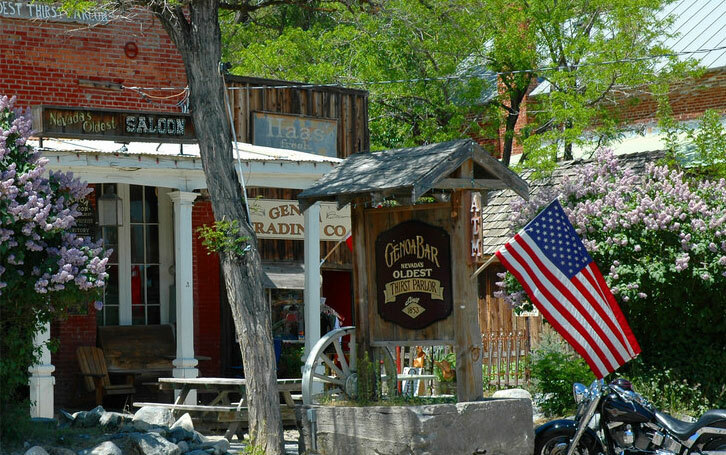 The Kent House became the Gardnerville Hotel – and the town of Gardnerville was born. Although the old hotel no longer stands, the community spirit lives on; we don’t know about the ghost. Basque dining, sports parks, visitor friendly farms, and a new community center make the town a vibrant destination. Originally established in 1851, the first recorded settlement in Nevada was named Mormon Station, then renamed Genoa in 1855 after the birthplace of Christopher Columbus. Genoa was the eastern terminus of frontier mailman John “Snowshoe” Thompson’s route from 1856-1876. Thompson was the first man to ski the Tahoe backcountry and the same peaks that make up our world-famous ski resorts; Heavenly Mountain Resort, Sierra-at-Tahoe, and Kirkwood Mountain Resort. Explore the town’s rich past or get acquainted with a growing culture of food, arts and entertainment. Named after Minden, Germany, near the birthplace of H.F. Dangberg, Sr., H.F. Dangberg, Jr. had a vision of community and culture. From 1906-1940 the Minden Inn was frequented by Hollywood stars including Clark Gable and Jean Harlow. 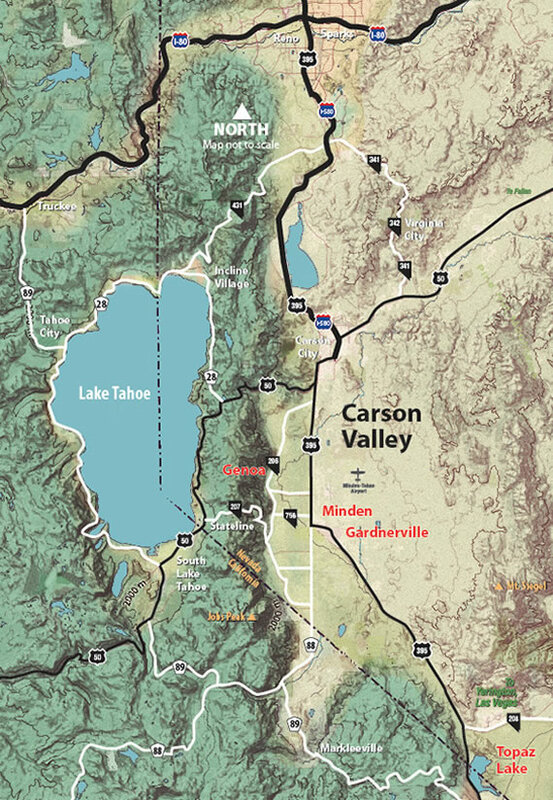 Minden Park and Esmerelda Avenue are still the center of this Carson Valley town. You can tour the Dangberg Home Ranch and get a taste of the life of an early ranching family. An upcoming distillery, art center, casino gaming and shopping are just a few of the activities on hand to compliment any stay. Jedediah Smith was the first non-native to traverse the Sierra Nevada, and in spring of 1827 his route took him southeast through Monitor Pass and east past Topaz Lake. Now a man-made reservoir, Topaz Lake was a remnant of a prehistoric sea. Located just south of Gardnerville, Topaz Lake Park is a water sports destination. 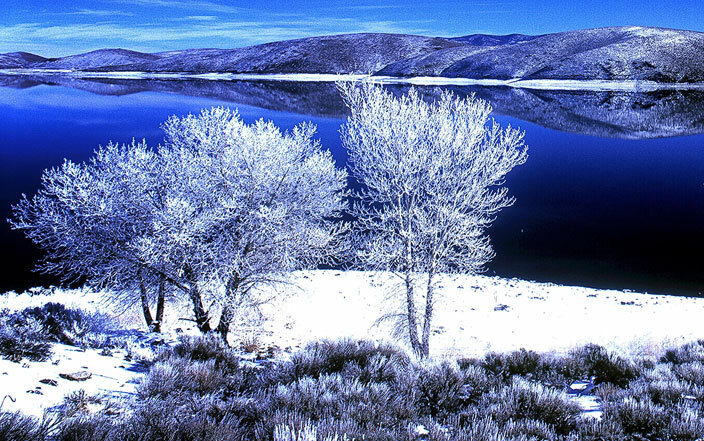 Known for fishing, water skiing, wakeboarding and camping, Topaz Lake is a stunning oasis where views abound between the arid Great Basin to the east and the towering Sierra Nevada to the west. If you’re looking for someone who has all the dirt on the best trails to hit in Carson Valley, you can’t do better than checking in with Kate. She and her trusted lab know the lay of the land like the back of her glove. The weekend begins Friday April, 26, at 7:00 p.m. a Town Hall performance by Waddie Mitchell, Nevada’s Cowboy Poet and the local Country band, The Sage Brush Rebels. Tickets are $40. To purchase concert tickets, call or stop by the Carson Valley visitors center!! 775-782-8145, 1477 US Highway 395 N, Gardnerville. Saturday, April 27, from 10 a.m. to 5 p.m., attendees can amble throughout Genoa for Native American demonstrations, western music, cowboy poetry, Chautauqua actors portraying historic characters, children’s activities, Dutch oven cooking, Ag in the Classroom with the Douglas County Farm Bureau, historic tours and much more. Events and performances are free and family friendly. – Music by Sierra Sweethearts, Jon & Betsy Elliott, Richard Blair, and Chris Bayer. – Chautauqua actors Mark Twain performed by McAvoy Lane, Calamity Jane portrayed by Kim Harris, Snowshoe Thompson portrayed by Steve Hale. – Civil War Camp for Living History. At 7:00 p.m., Saturday, April 27, a Town Hall performance features Trinity Seely, returning to Genoa by popular demand, and The High Country Cowboys. Tickets for the Saturday evening seats are $40 and are on sale soon. Sunday, April 28, at 9 a.m., join the Genoa Community Church for Cowboy Church in the Town Hall, featuring Jon & Betsy Elliott, Trinity Seely, and pastor Patrick Jolly. Click on the pictures above to learn more about the Artists!